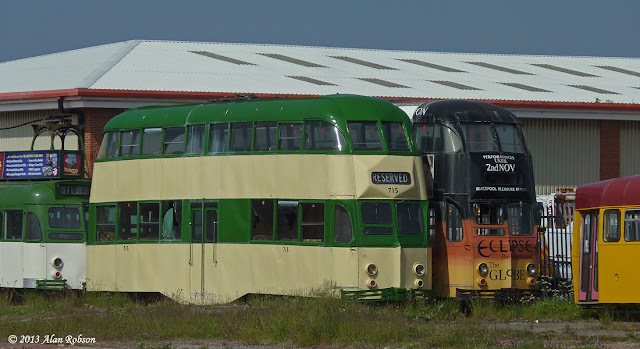 Centenary 646 not scrapped after all? 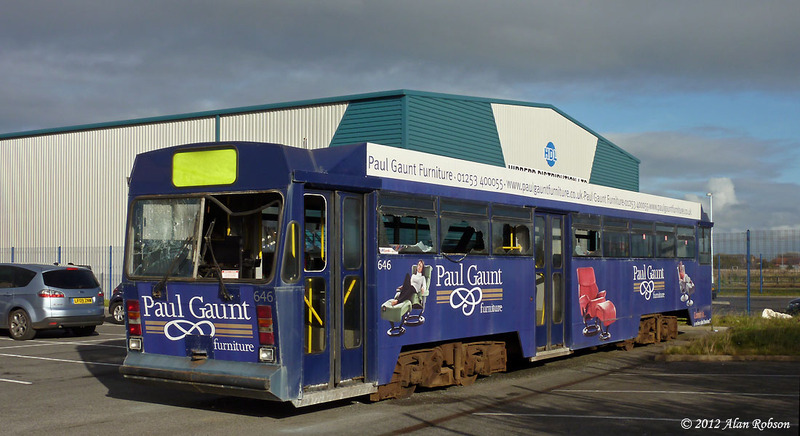 It would appear that the vandalised "Paul Gaunt" Centenary Car 646 may not have been scrapped after all, the body of the tram is allegedly in use as a bar at a festival site in Scotland. More items recovered from 646 are now turning up for sale on the auction site eBay, the seller has included the following text in the description of the items:- "I recently bought and sold Blackpool tram 646. 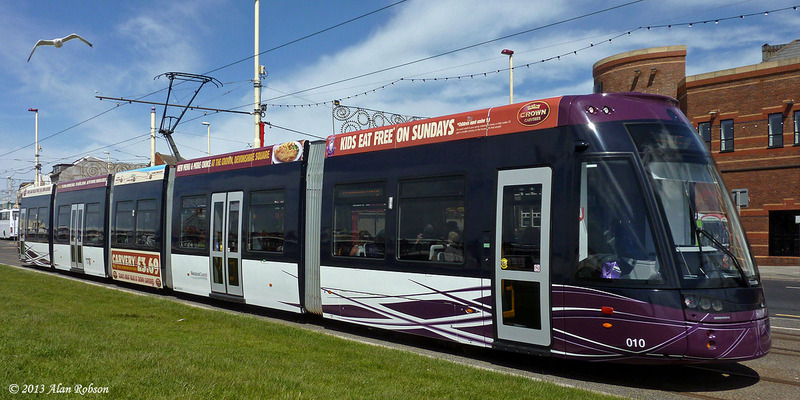 I offered the tram to all the museums but it was sold to a festival site in Scotland. 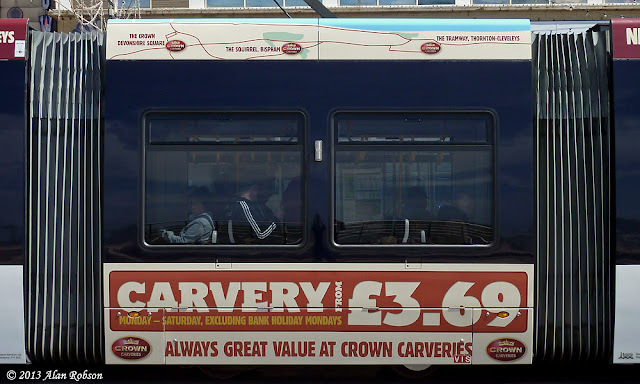 They are using the body for a bar." 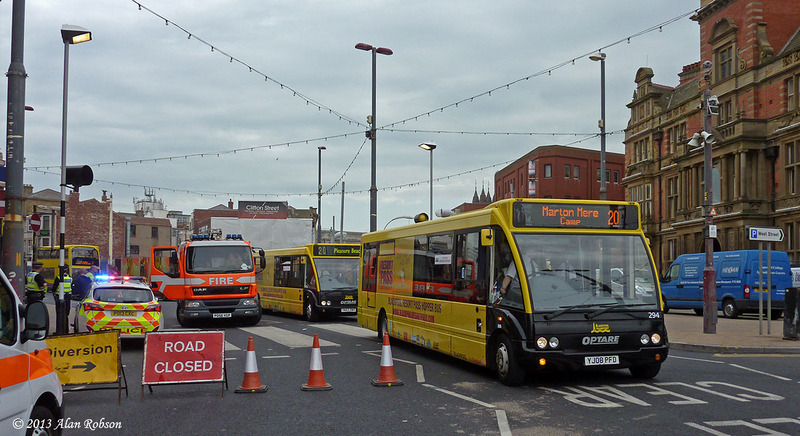 Sunday 23rd June saw the annual Totally Transport vehicle rally being held on the South Promenade in Blackpool, as is often the case this year's event was subjected to some pretty atrocious weather again for late June. 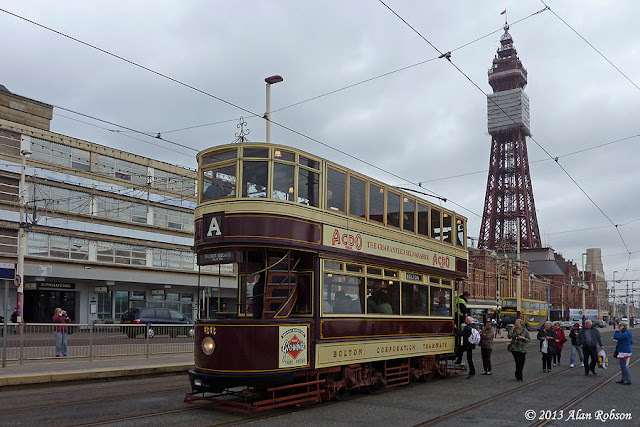 The skies were leaden grey with heavy cloud for most of the day, but to make matters worse there was a strong westerly wind that increased in force as the day wore on. All the hard work that the entrants had put in cleaning and polishing their exhibits into pristine condition was completely undone by the salt laden gales. By the end of the day every vehicle on the promenade was coated in a sticky film of wind blown salt spray, meaning that all the vehicles would need a thorough wash again after they returned home! 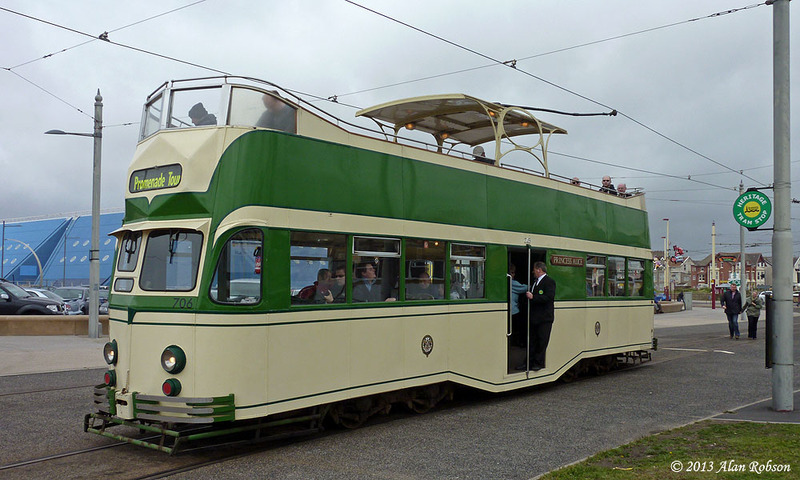 As was to be expected, the forecast poor weather meant that the planned Boat cars were a non-starter for the heritage output on the day. The trams chosen for the morning tours were Standard 147 and Balloon 717, being swapped later in the day for 706 Princess Alice and Bolton 66, the open-topper being a strange choice given the extremely strong winds and heavy skies. 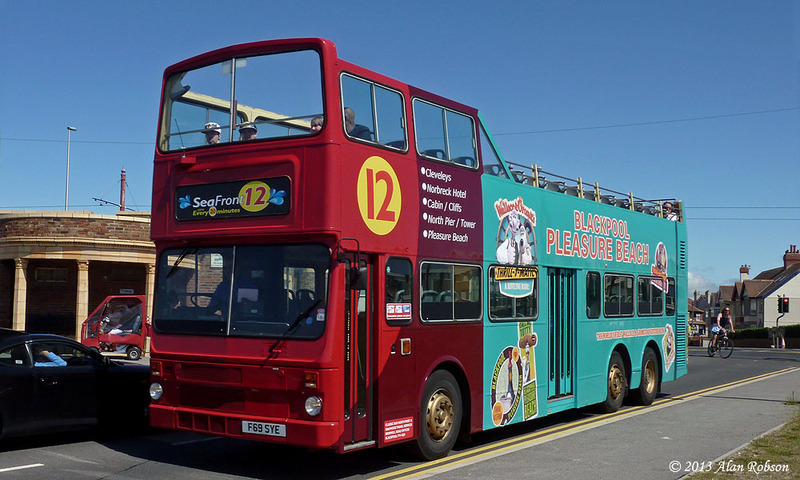 The Heritage Tours operated as a shuttle service between North Pier and the Pleasure Beach throughout the day. 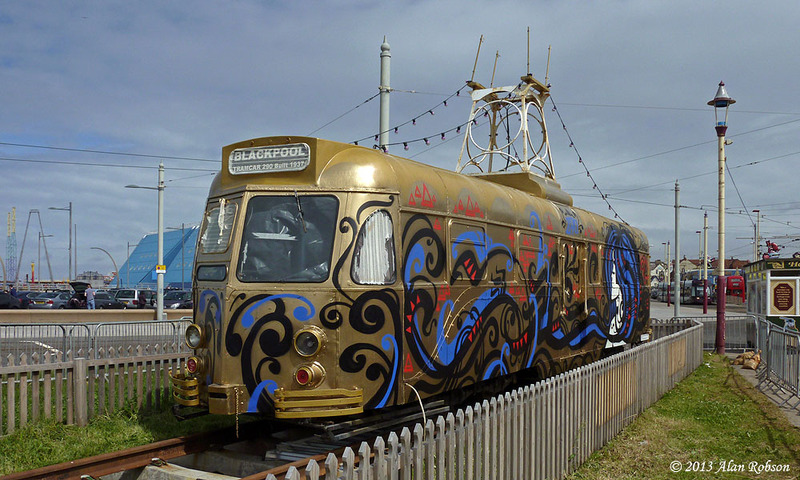 Princess Alice loading on the Pleasure Beach loop, with a few adventurous souls braving the gales on the top deck! 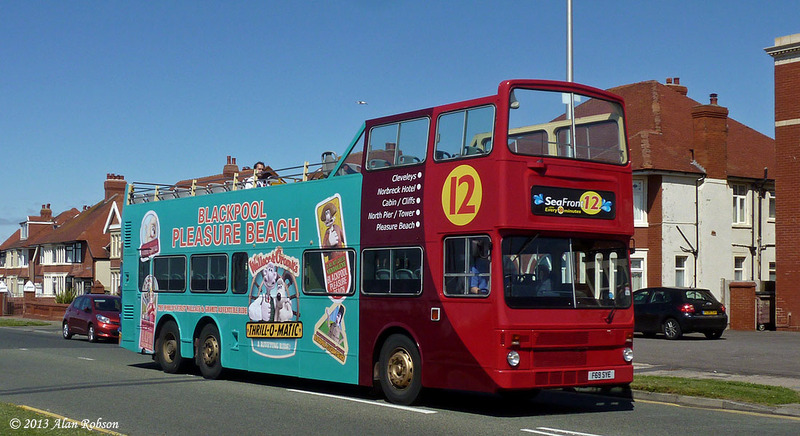 A new monster 102 seat open-top bus has just begun operating in Blackpool on the Seafront 12 service of Classic Bus North West. 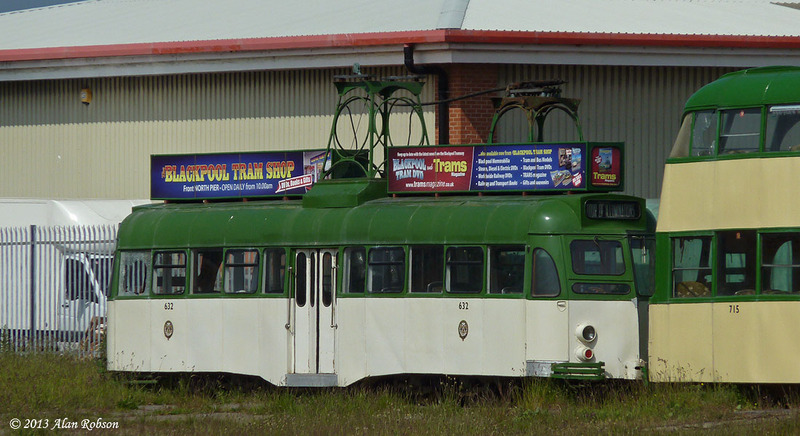 This impressive vehicle originally started life on the opposite side of the world in Hong Kong. F69 SYE is a 1988 former China Motor Bus 12m MCW Metrobus (original number ML81), the vehicle last saw operational use back in 2009 running sightseeing tours around London for The Big Bus Company. 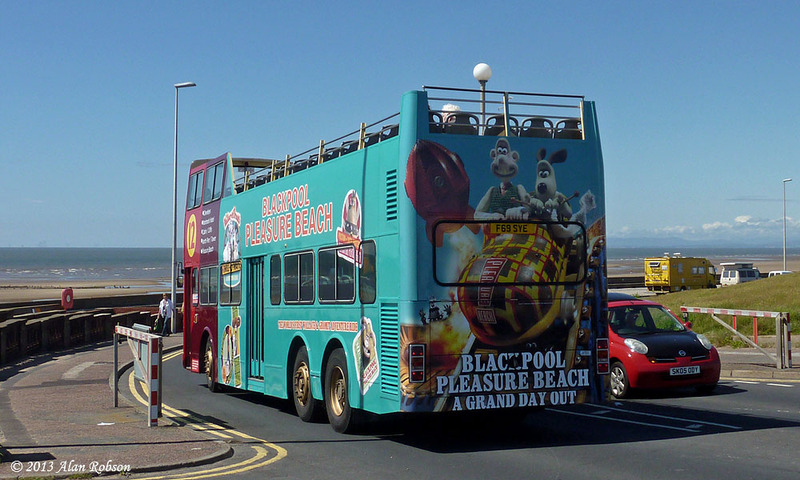 The bus is carrying a vinyl wrap advert for the new Wallace and Gromit themed "Thrill-O-Matic" ride at the Pleasure Beach. 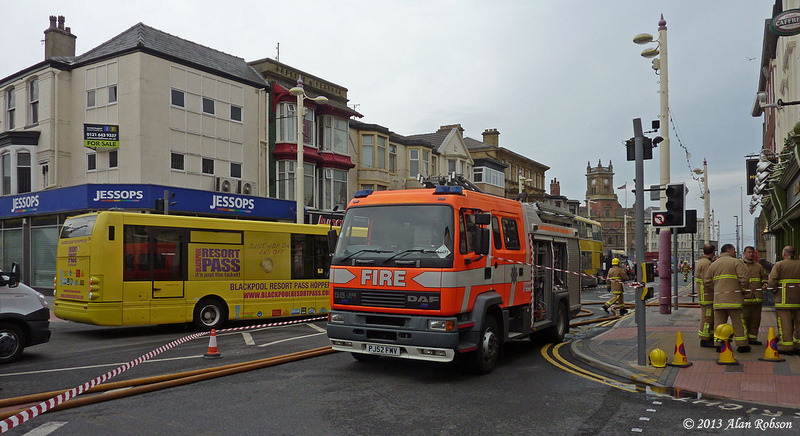 On Wednesday 19th June a major fire broke out at the Walkabout Bar on Queen Street in Blackpool. The fire started at around 5.30 in the morning, and the surrounding streets were all closed off due to numerous fire appliances and ancillary vehicles attending the incident, with fire hoses being run along the streets to several different water hydrants. The resultant road closures played havoc with all the local bus services, this being on top of the existing road closures due to the Talbot Gateway work, and a collapsed sewer at the Dickson Road end of Queen Street. 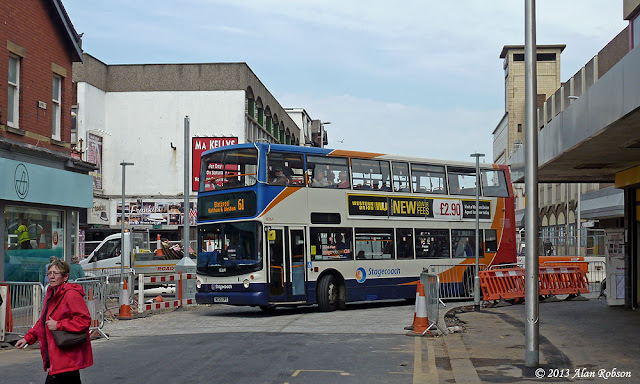 As the morning progressed the situation eased slightly, with the northbound Promenade being opened alongside the Metropole Hotel, and also the section of Abingdon Street alongside the Library being cleared, allowing northbound buses to use this short cut. 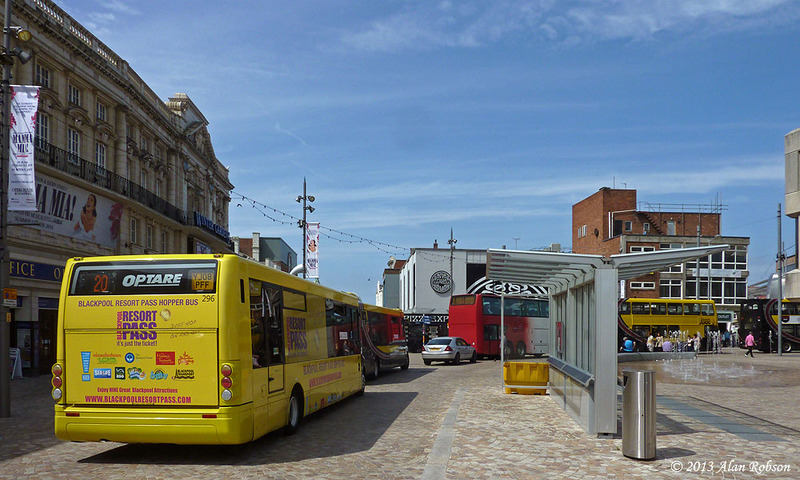 The upper end of Talbot Road (between Abingdon Street and Topping Street) was completely closed all morning due to fire hoses running down the street, necessitating the traffic flow on the normally one-way northbound Topping Street to be reversed, and the pedestrianised St John's Square in front of the Winter Gardens was opened up to all traffic for the duration of the road closures. Southbound Promenade buses had to turn left onto Springfield Road (at the rear of the Metropole), joining with other bus routes that been diverted along the north end of Abingdon Street, this caused gridlock on Springfield Road, not helped by the temporary traffic lights at its junction with Dickson Road, associated with the major road works in the area. Leading up to this weekend's "Sand, Sea & Spray" event, which is part of the third annual Urban Arts Festival, Brush car 627 was selected to be painted by London based street artist "Inkie", who is a compatriot of the well known urban artist "Banksy". 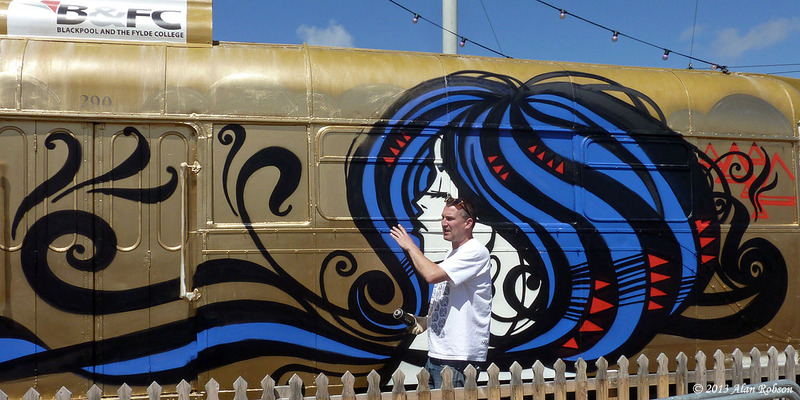 The painting of 627 (290) was one of several events that took place over the weekend as part of the local arts festival. 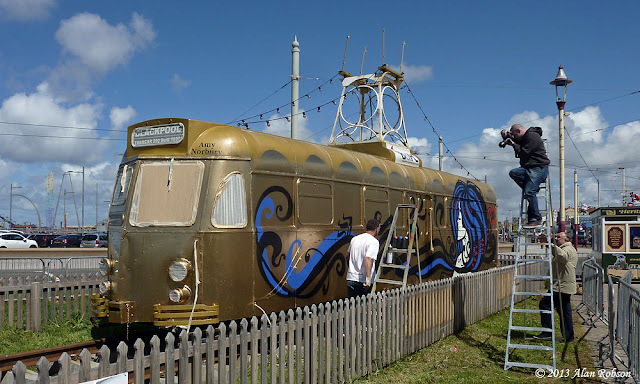 Inkie began to paint 627 on Friday 14th, in spite of occasional heavy rain showers, and completed the painting of one side and both ends of the tram on Saturday. 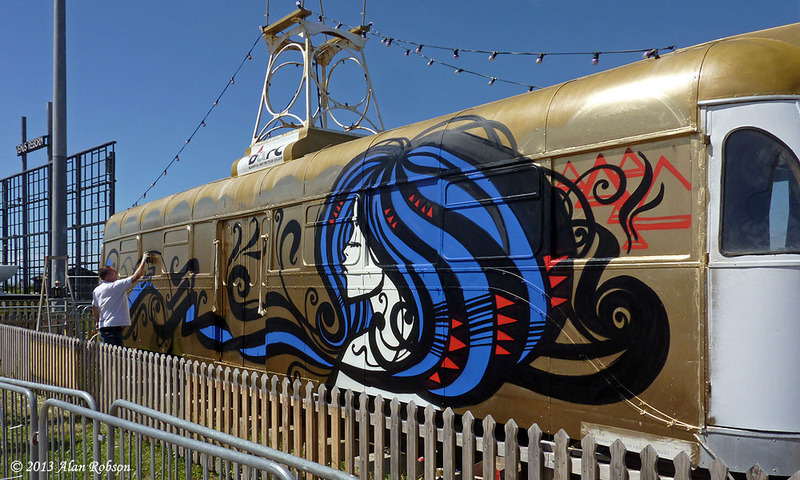 The street art represents a lady with long blue hair flowing along the side of the tram, surrounded by lots of swirls and triangular symbols, there is also a stylised "290" fleet number over the doors, the artwork being signed at the top right hand corner by the artist. 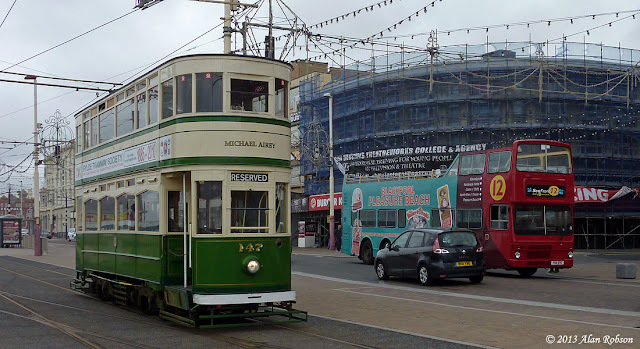 The seaward side of the tram is still in the Queens's Diamond Jubilee celebration scheme, although the children's paintings that adorned each window have now been removed. 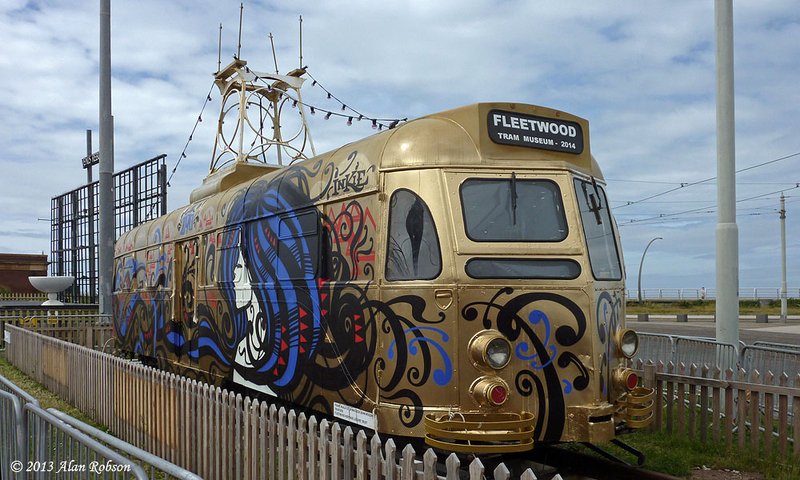 Although the covering of one side of 627 with urban street art appears to have been rather controversial in some circles, it certainly presents a more striking appearance now compared to the comparatively unimaginative Diamond Jubilee colour scheme that the tram previously carried. 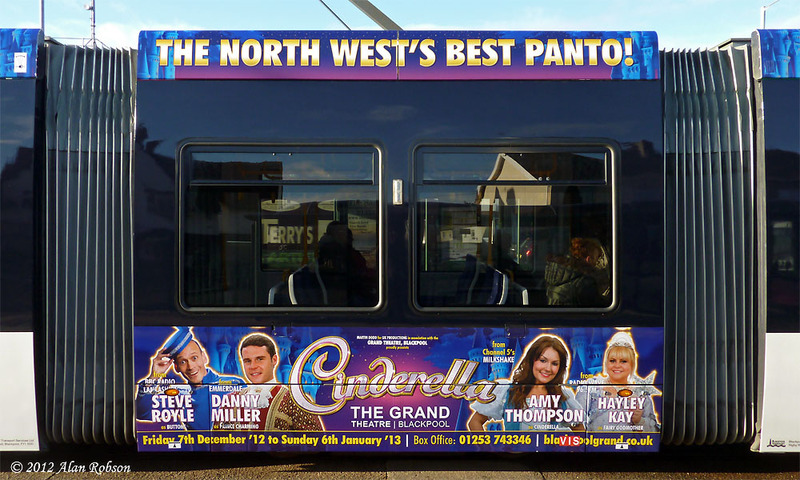 The north end of 627 which is displaying the rather optimistic destination "Fleetwood Tram Museum 2014"
Flexity 010 has until very recently been carrying a Christmas panto advert that was first applied last year, despite the pantomime closing on January 6th of this year! About two weeks ago the old time expired advert was removed, and after running for a couple of weeks with no advert on one side of the tram, a new advert for Crown Carveries has just been applied. 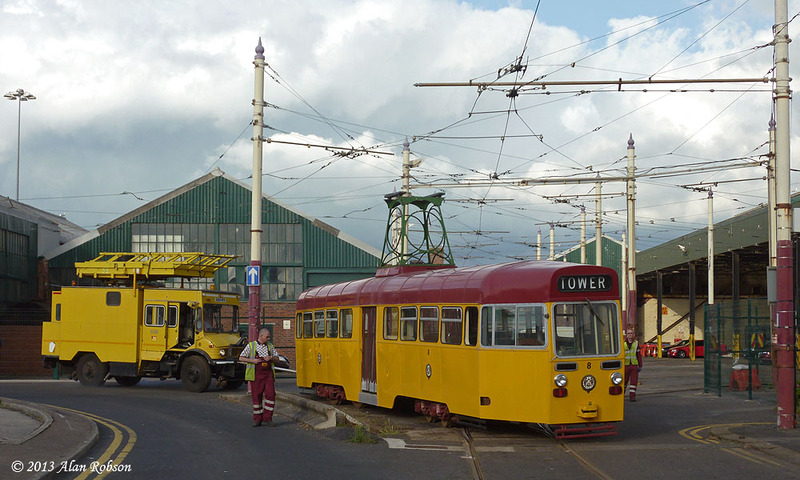 Only a day after the welcome announcement that BTS are to become custodians of part of the LTT tram collection, Coronation 304 was collected by Scotts Heavy haulage from the storage yard in Fleetwood, where it has been stored for several months, and returned home to Rigby Road depot. 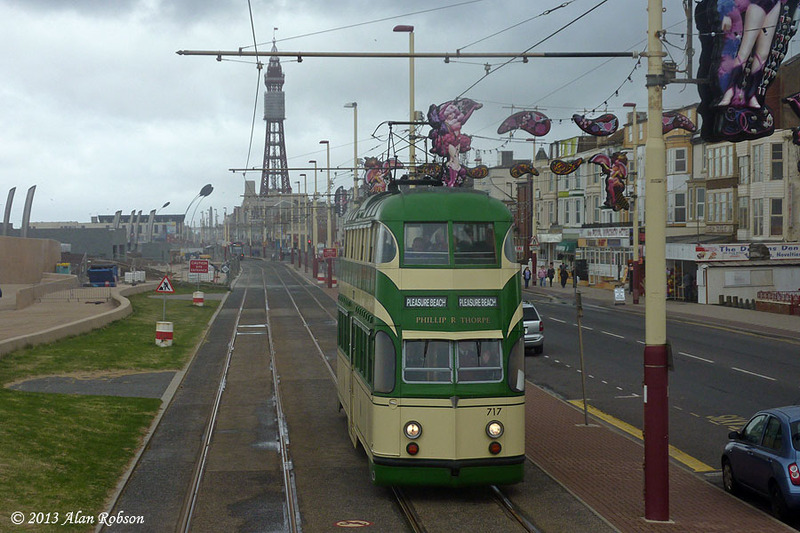 304 was absolutely covered in seagull droppings, but apart from that looked non the worse for wear at a glance. 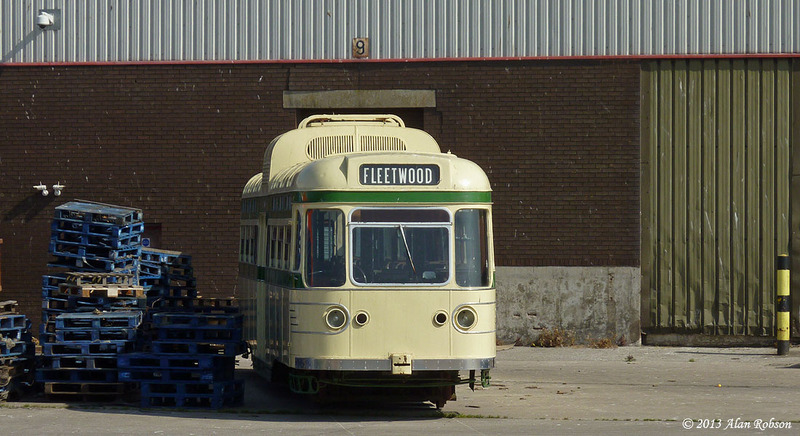 The tram is now safe again at long last, and will be at lot more secure in the dry storage of the tram depot at Blackpool. 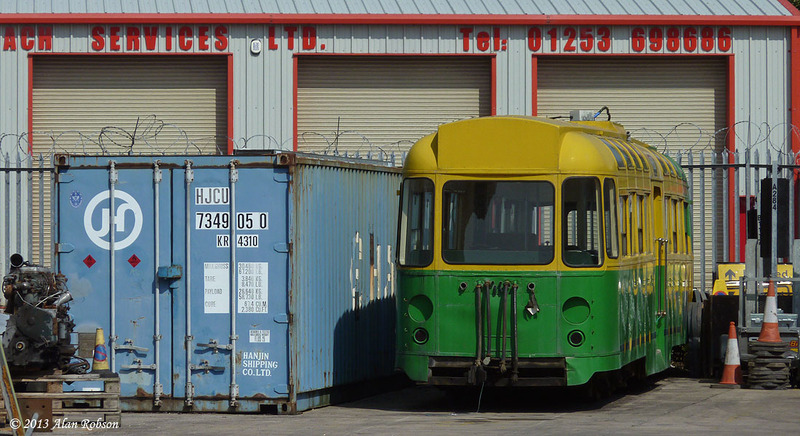 The second LTT tram of the day to return to Rigby Road was OMO 8, which had been in outdoor storage at a disused industrial yard in Marton. 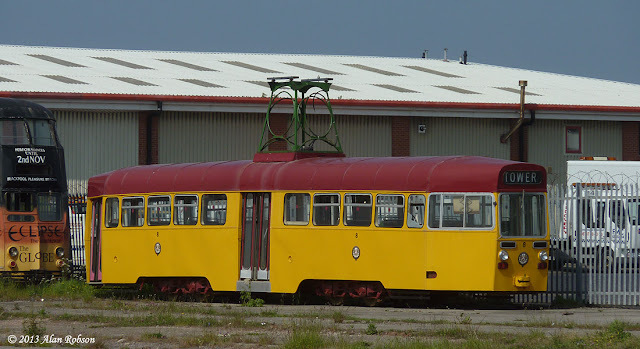 Apart from a smashed window, OMO 8 appeared to be in a lot better shape externally than Coronation 304, with the paintwork still looking very clean. These two trams were probably the most significant members of the LTT collection that have had to put up with open storage, so it was fitting that they should be the first two to be returned to the safety and security of Rigby Road depot. Blackpool Transport and the Lancastrian Transport Trust are to merge their historic tramcar fleets by the creation of a new charitable trust which will consolidate the combined collection. 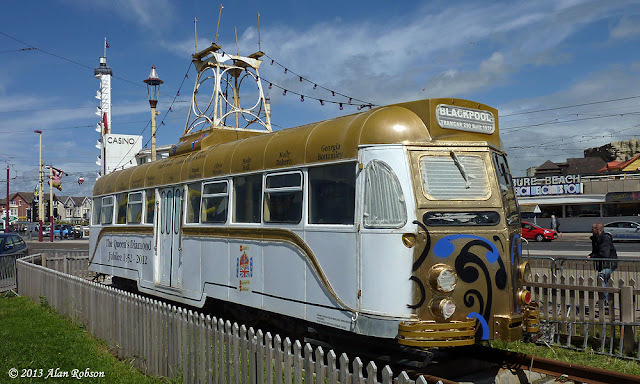 The deal will involve 8, 304, 624, 632, 704 and 715, belonging to the Lancastrian Transport Trust, returning to the care of Blackpool Transport, followed later by Standard 143 and Railcoach 279 in October, with the Rocket joining at the conclusion of the current deal with the Illuminations Dept. 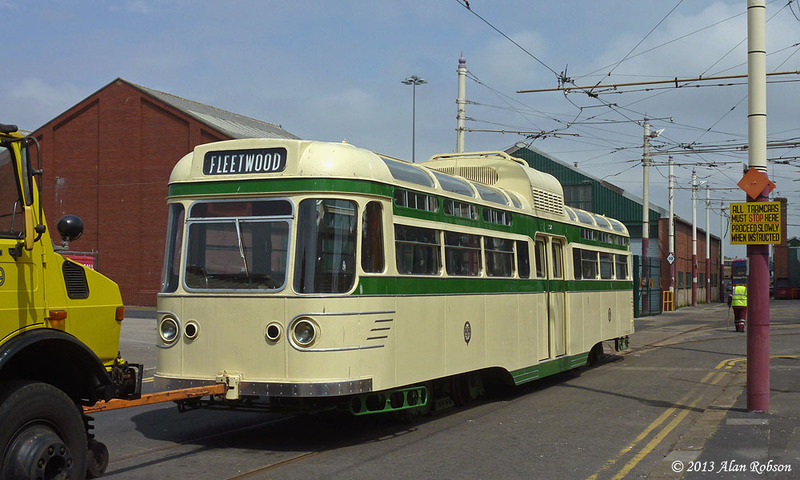 The two organisations will work together to form a charitable trust to care for the expanded fleet of heritage trams. 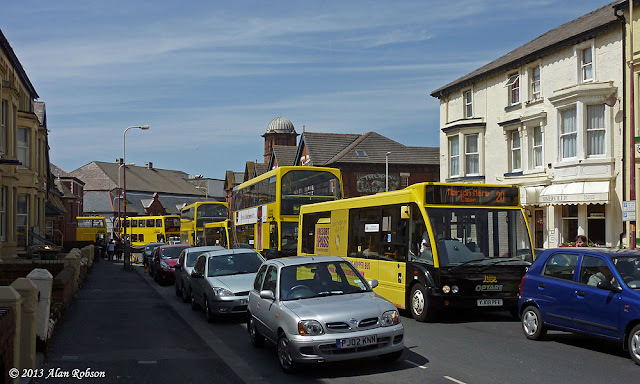 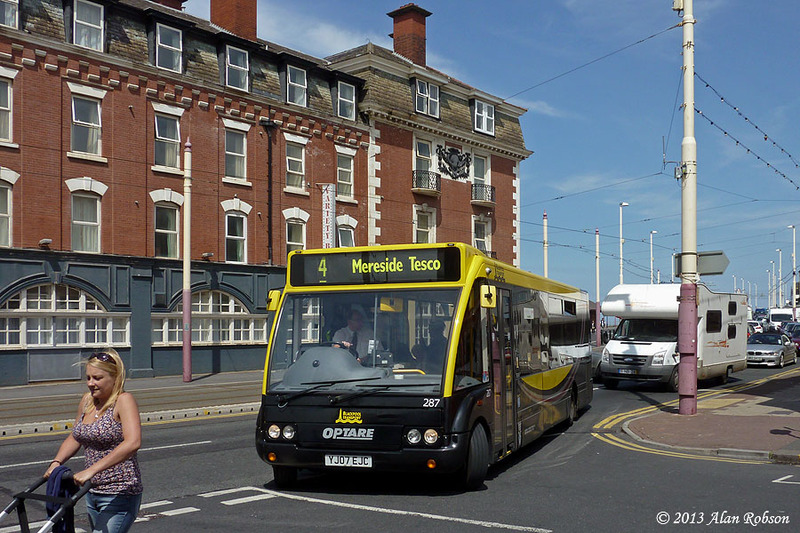 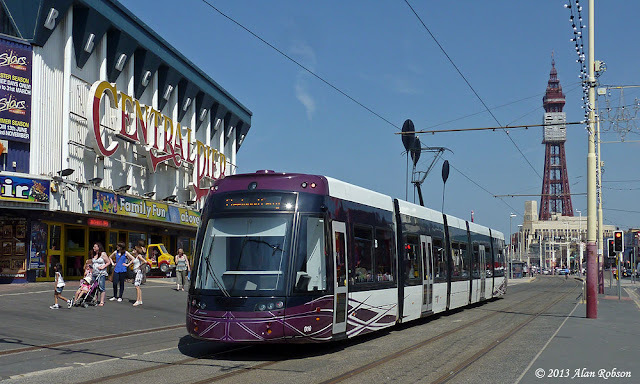 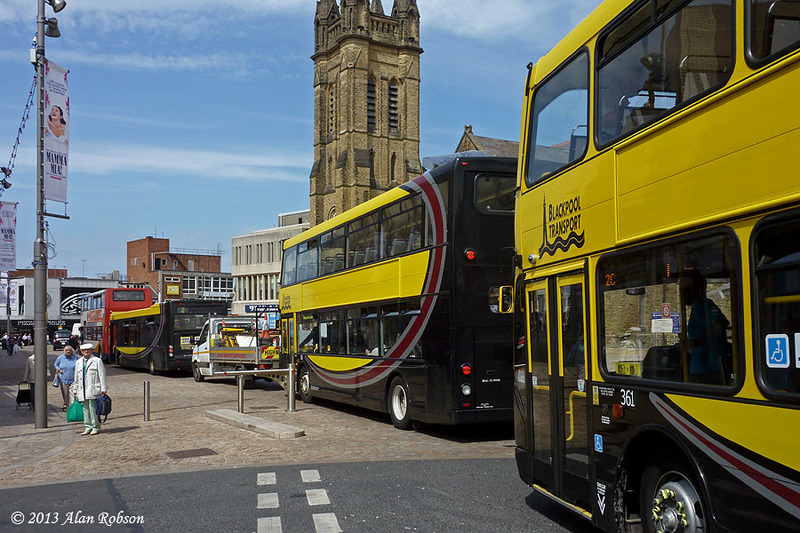 This will be managed independently of Blackpool Transport’s core business and supported by representatives from both sides, this will allow the chance to explore further funding opportunities not normally available to commercial organisations. The operation of the heritage trams will be undertaken by Blackpool Transport. This deal is excellent news for both the LTT and the future of the heritage operation of Blackpool Transport, and all involved in brokering the deal are to be congratulated. Unfortunately it was noted on Sunday 9th June that some of the LTT trams that are in open storage have suffered from the attention of vandals, with several broken windows being noticed, the worst of the trams affected appears to be Balloon 715. Hopefully no more serious damage than this has ensued during their outdoor sojourn at Marton. LTT trams not included in the arrangement with BTS include Balloon 703 and Boat 605 both currently at the Beamish museum, Coronation 663 which resides in the LTT depot at Brinwell Road, and Trailer towing car 671 which is stored in the yard of a coach company at Marton.